So here is a PDF template of a water pump gasket. When you print it out, be sure to select the option "Actual Size" otherwise your computer will print a smaller size gasket than you need. 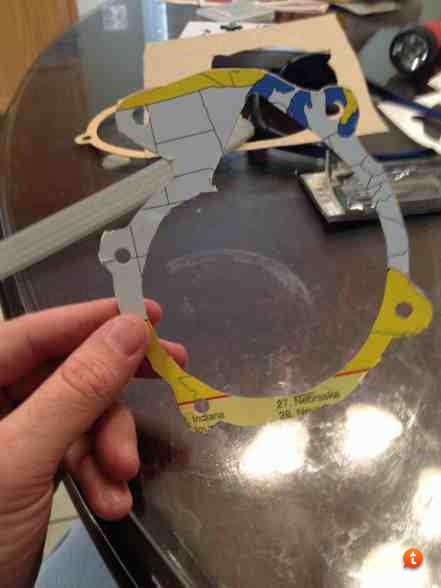 I have yet to make my own gasket but the plan is to use this as a template to cut a gasket out of cardboard from a cereal box. 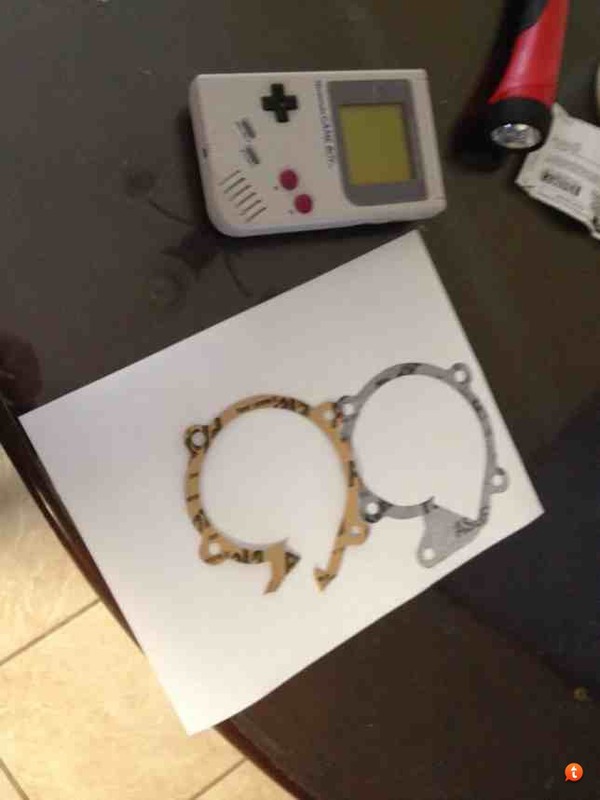 Sure, I currently have a gasket, but this will be a lot more fun and will ensure that I can easily make gaskets should I need a new one in the future. Today me and Drew are in the process of replacing his water pump. His new water pump arrived with a torn gasket. It looks like I will be conducting this experiment on his car. Its a good thing there is a water pump gasket template on Today. 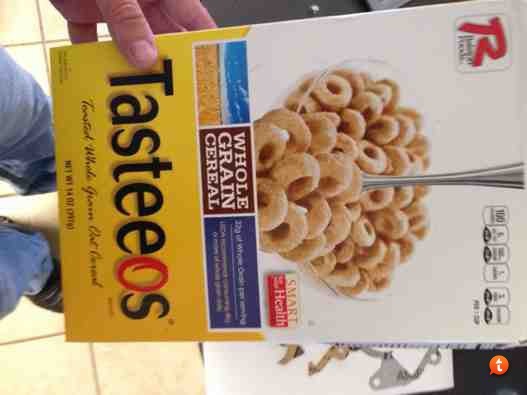 Are you really going to use a cereal box? 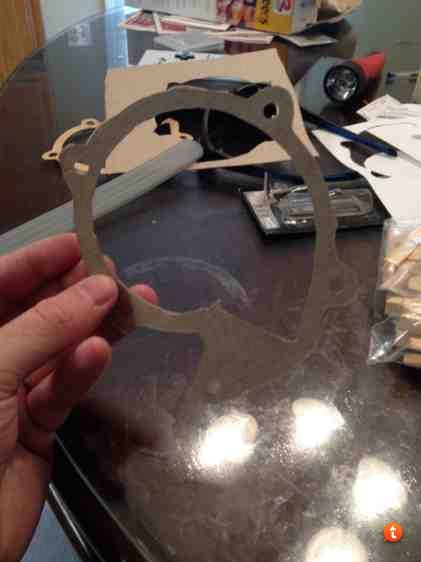 So far so good on the cereal box gasket. I got a text message from Drew last night that everything is fine. As an extra precaution, we did coat the gasket with a thin layer of red RTV. I have a bin full of 7mm socket head bolts if you ever need them (the ones that hold the water pump back on). Conventional wisdom is that they are NLA, but that is incorrect (though my supplier is currently out of stock). I use them to hold adapter plates to Peugeot manifolds. Thanks for the offer. We were a bit surprised when we realized the allen head bolts wouldn't fit. This explains why my first waterpump replacement (John Hervey unit) came with hex bolts. Anyway, we made a quick trip to Home Depot and to my surprise, they had 7mm hex head bolts in stock. Conventional wisdom is that hex heads won't work right. Even Dave Swingle says this. Don't know first hand myself because I've always used socket heads. Hervey sent my first water pump with hex head bolts. They work fine but you can't use a socket to install them. You have to use an open end wrench to do the tightening. My car and Drew's car are proof of this.